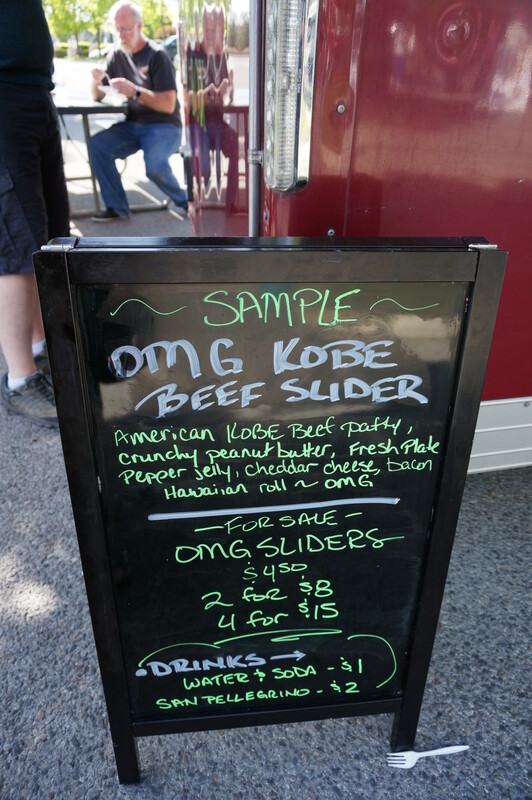 Spokane’s Food Truck Scene | Get Lost. Often. On May 17, 2015 my husband and I attended the 1st Annual Greater Spokane Food Truck Association’s Maytoberfest. 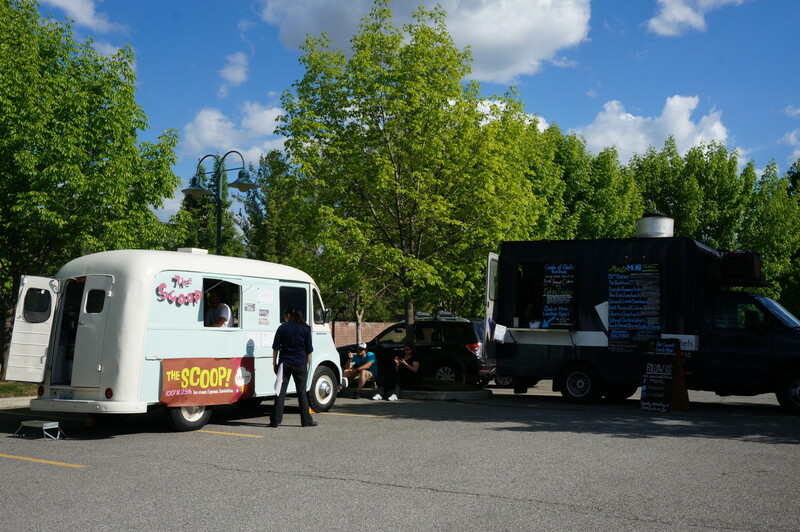 This collection of 11 food trucks and carts gathered in the Lilac Lanes parking lot offering a flavor of Spokane’s up and coming food truck scene. 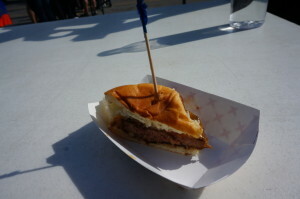 Advance tickets sold for $15, day of purchase was $20 which included a sample from every truck. 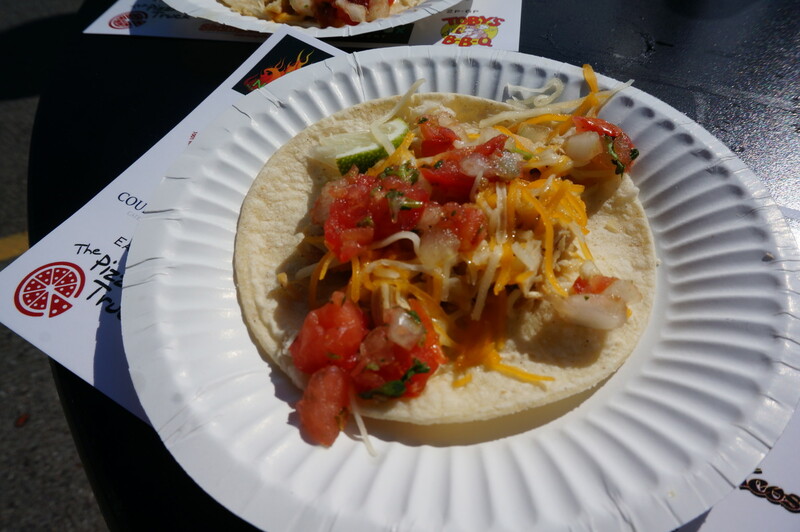 We started with street tacos covered in a habanero salsa from King of Tacos. 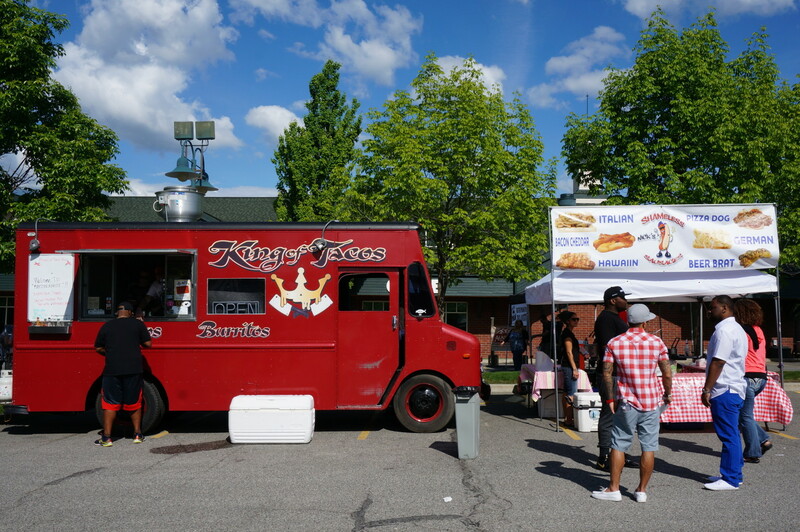 Having eaten at King of Tacos before I expected a lot of flavor and was a little disappointed at the blandness of their sample. 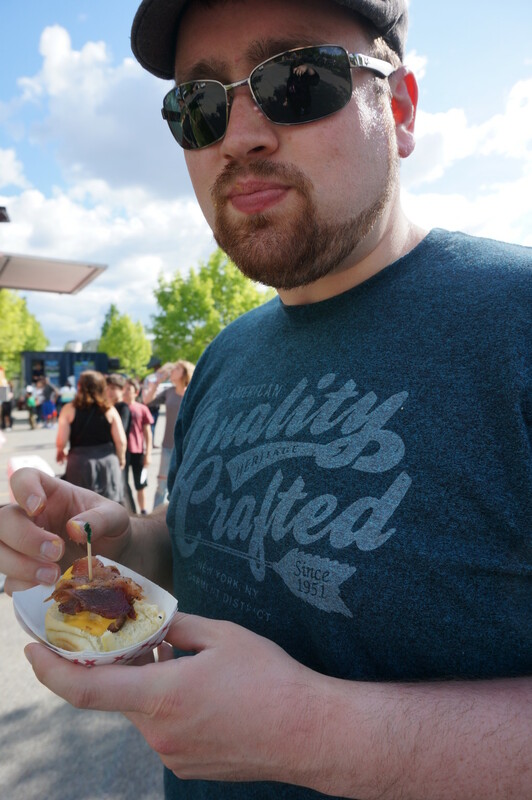 Of course that is just my opinion and we did overhear others saying it was their favorite offering of the day which just goes to show how awesome this event is, allowing people to try so many different types of foods. 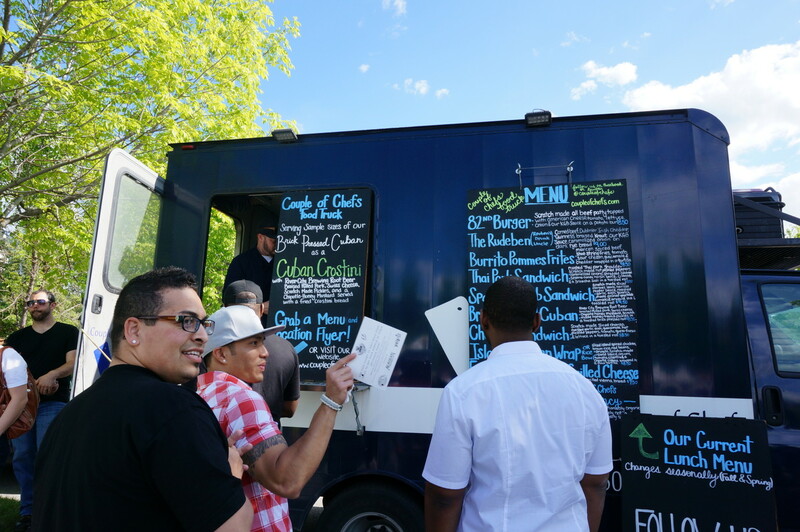 A Couple of Chefs was our next stop where we sampled a Cuban crostini which was a smaller version of their brick pressed Cuban with River City root beer braised pulled pork. This was one of my favorite samples of the day. Hawaiian dogs were next at Nick’s Shameless Sausages. 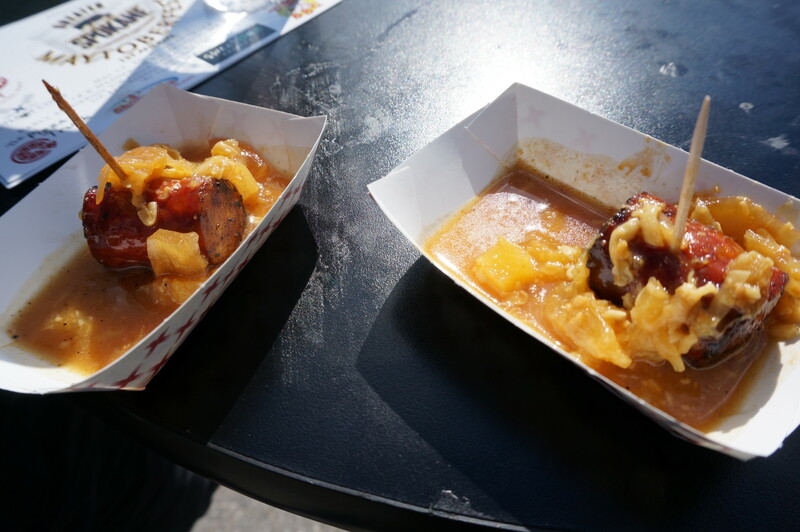 The combination of the sweet pineapple with the sausage spices was fantastic. I can only imagine how much better it would be with a bun soaking up the wonderful sauce. The Bistro Box offered an OMG Kobe Beef Slider with peanut butter and homemade pepper jelly. What a combo! The sweetness of the peanut butter mixing with the spicy sweetness of the pepper jelly was one of the best combos that I’ve ever had. If only the kobe was a little less well done it would have been the #1 winner of the night. The smell of wood smoke drew us to Toby’s BBQ next. 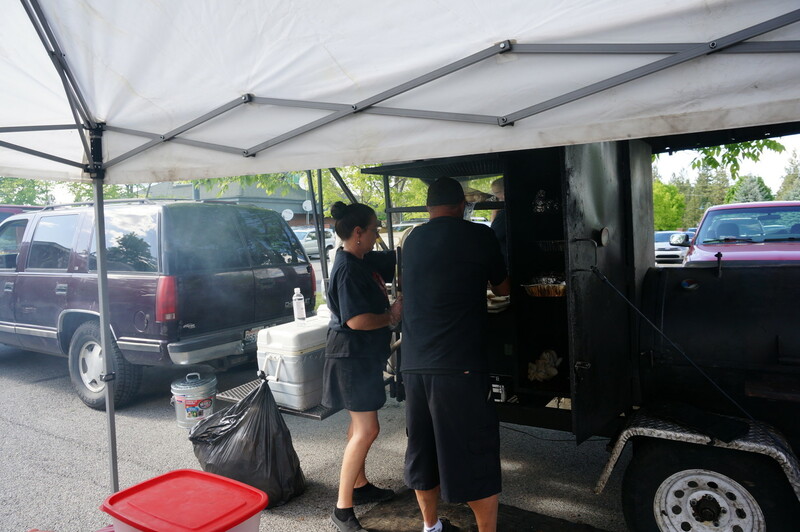 There is nothing better on a warm spring day than the smell of BBQ. 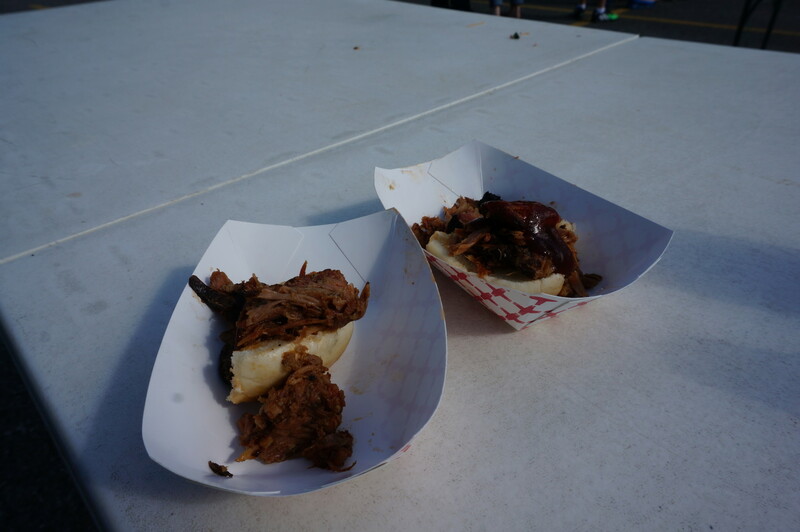 Toby offered up a sample of tender smoked pork with your choice of bbq sauce. 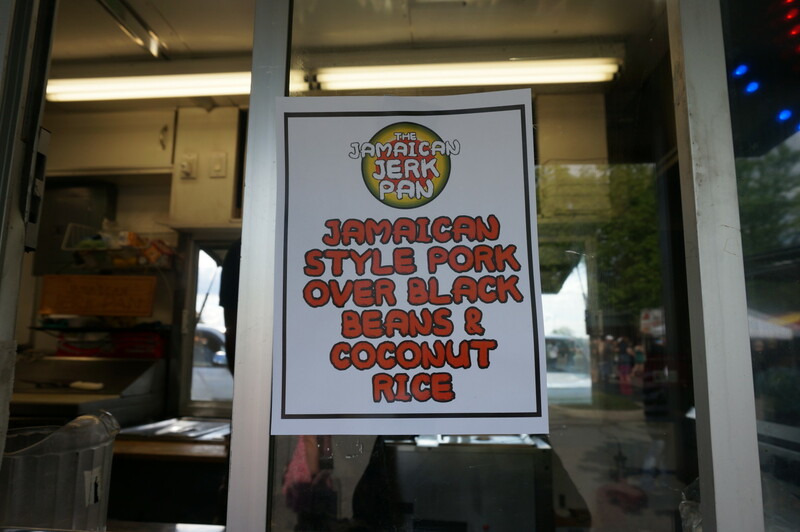 The Jamaican Jerk Pan, much loved food truck located in Browne’s Addition, called to us next. 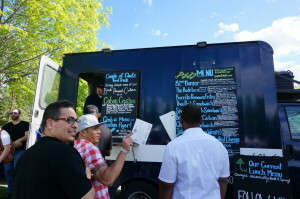 We have shared a few meals from this food truck in the past and have never been disappointed. The food is always flavorful, fresh and well seasoned. Today was no different. The Jamaican Jerk Pan’s jerk chicken is my husband’s favorite while I am crazy about his curry. Today we were able to sample Jamaican style pork over black beans and coconut rice. The pork was tender and the beans and rice creamy and delicious. 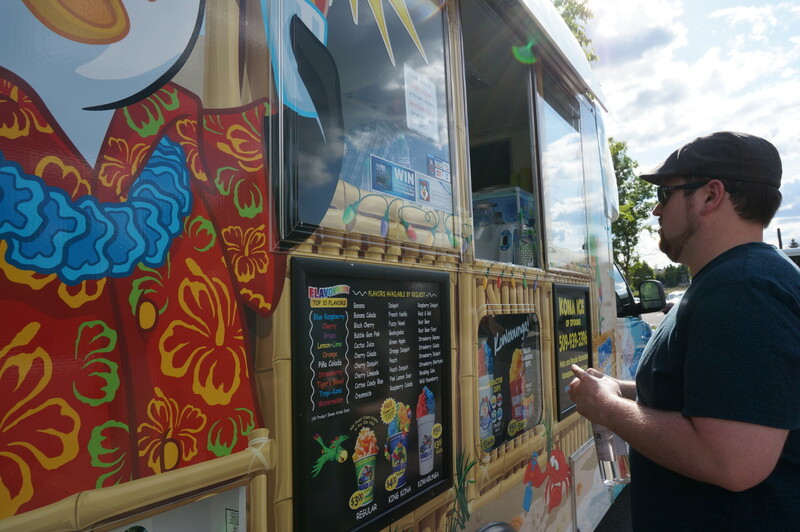 We will be spending many a date night this summer at this food truck. 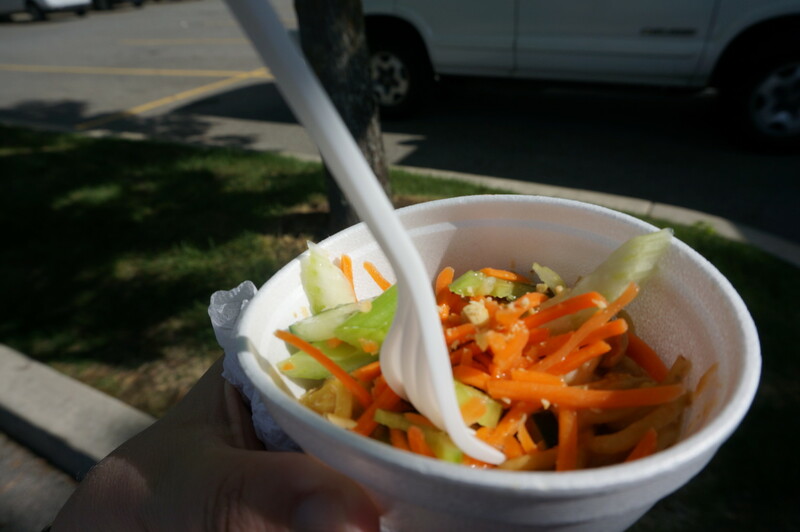 Peanut noodles with fresh veggies was served up at 3 Ninjas. This sample was big compared to some of the others and contained soba noodles, homemade peanut dressing and julienned fresh veggies. I felt that it could have used a little something else, maybe cilantro, soy sauce or red pepper flakes? It was a refreshing dish but when we have places like Rock City serving up an amazing peanut sauce, 3 Ninjas needed just a little something more out of the sauce. I cannot say how good the next food truck, Shameless Sausages.com, was since they served a hot dog and that is a food I just cannot stand. My husband was more than happy to eat both samples which consisted of a hot dog and bun smothered in a cheese sauce and topped with thick slabs of pepper bacon. I can say that both containers were completely empty and he had a smile on his face. The Pizza Truck served a bacon alfredo pizza which tasted great. It was more of a cheese bread than a pizza but it was delicious nonetheless. The last two trucks were dedicated to dessert. 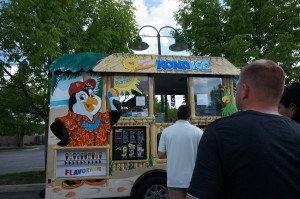 We started with Kona Ice, which had the longest line all evening. Kona Ice served up refreshing, decadent adult style snow cone concoctions made with shaved ice and sweet cream and then smothered in a flavor. 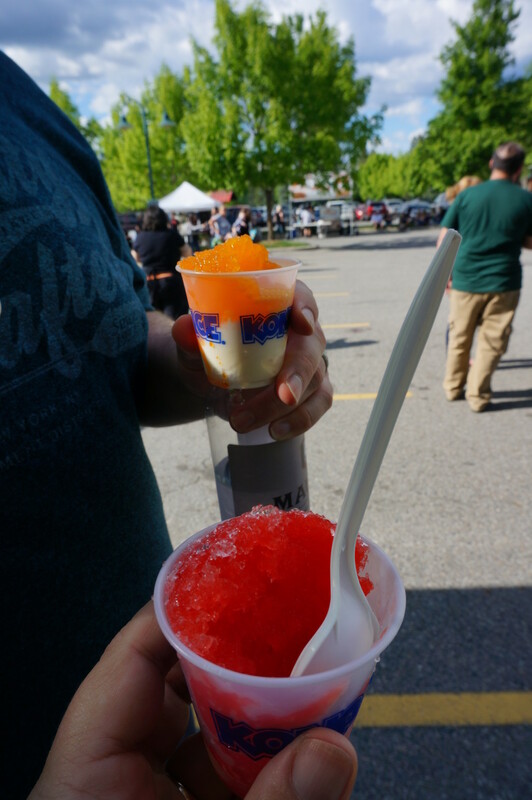 I chose Tiger’s Blood (cherry, raspberry and coconut), while Kevin decided on creamsicle. 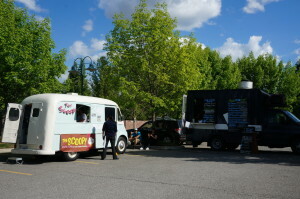 The Scoop was the final food truck of our day. We each enjoyed a 4 oz scoop of Banoffee Pie with cookie butter ice cream. What a way to end the 1st Annual Maytoberfest.